Alexey Kunchenko had a successful Ultimate Fighting Championship (UFC) debut. 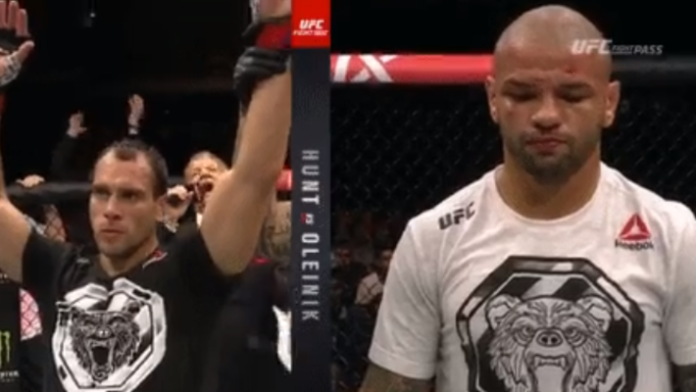 Kunchenko went one-on-one with Thiago Alves in the opening main card bout on the UFC Moscow card. Alves had some success with the leg kicks, but Kunchenko ended up landing more strikes. He sealed the deal in the third round as he was able to land some clean shots and even got Alves down to the mat briefly. Alves has now gone 1-4 in his last five outings. MMA News is providing ongoing coverage of UFC Moscow. We’ve got you covered with live results, video highlights, and post-fight tidbits.